Watch the latest webinars on non profit management, fundraising, governance and finance. NPQ’s editor-in-chief Ruth McCambridge and author, speaker, and former NPQ consulting editor Michael Wyland explore in detail how donors and the media look at the IRS Form 990. Coaching is now a well-regarded practice among nonprofits for supporting individual leaders, especially senior executives. This installment in NPQ’s “Behind the Philanthropic Curtain” series focuses on the NoVo Foundation’s Radical Hope Fund. 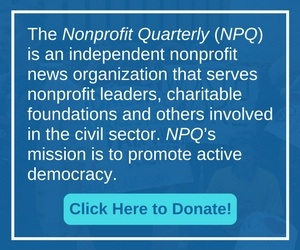 Here, NPQ Senior Editor Cyndi Suarez interviews Pamela Shifman, the executive director of the foundation, about its principles of practice and why it elected to grant millions apiece to organizations driven by those most deeply affected by the issues being worked on. This webinar walks the participants through a very practical program to help address a nonprofit’s financial integrity.